Your child can get a good night's sleep with the Spa Sensations 5" Memory Foam Youth Mattress. This comfortable mattress sports a fun, vibrantly colored polyester terry cover. Embedded with natural green tea in the foam, this memory foam mattress helps repel bed bugs and mites and provides protection from odors. This mattress is created out of memory foam so that your child gets additional support and comfort during sleep. This memory foam bedding can be used over a platform bed, daybed, bunk bed, or traditional bed. 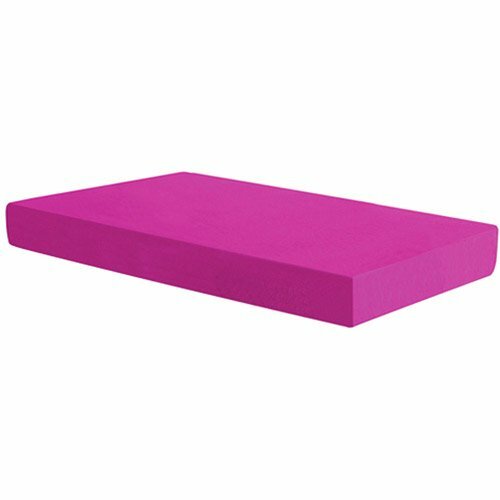 The temperature sensitive memory foam has the ability to mold according to the body contour whereby offering the needed comfort and support. The base layer of this mattress constitutes of breathable HD foam that reduces heat build up and helps air flow, while providing the much needed stability and support. Furthermore, the moisture barrier treatment enables you to wash the cover completely and guards this memory foam bedding from possible wetness and spills. Base layer made of breathable HD foam,Twin mattress dimensions: 39" x 75" x 5"